Create a life of wellness and purpose. Through a non-judgmental and goal-oriented approach to therapy, I will guide you to identifying personal resources for creating a life of wellness and purpose. In my work as a counselor, I help those struggling with marriage and relationship conflict, and issues including eating disorders, anxiety, addiction, depression, trauma, body-image Issues, self-esteem issues or other challenges. As a wife and mother, I understand today's demands on individuals, couples and families - let me help you gain the perspective and mindset necessary for a more positive life and healthy well-being. If you are struggling with communication or other conflict in your relationship, let me help provide you the tools necessary to move forward in a positive manner. Trying to manage a family, career and one's self can be overwhelming. Nicole is here to offer counseling for parenting, stress management, work-life balance, self-esteem issues, life after divorce and other concerns inherent to women. 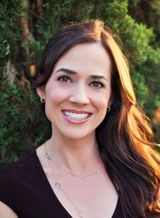 Nicole specializes in treatment for Food Addiction, Emotional Eating, Anorexia, Bulimia and Binge Eating Disorder. Learn more about Nicole's counseling for Substance Abuse and the causes of addiction. Within therapy, Nicole will help you confront the causes of your anxiety and help you move forward. If the symptoms of depression are interfering with your daily life, call Nicole to learn more about depression treatment. Traumatic events can alter your sense of security and leave you feeling overwhelmed and vulnerable. Contact Nicole today to begin the healing process.